Australian homebuilders and housing industry contractors are feeling the effects of a sharp downturn in the country’s housing market, according to ABC News. “Builders are just battening down the hatches and looking after their costs,” said Greg Zuccala – director at Australian homebuilder Zuccala Homes. With Melbourne housing prices falling 9.6% from their 2017 peak and new home building permits down nearly 40%, Zuccala has begun to adapt – laying off four workers amid a push to pinch pennies. 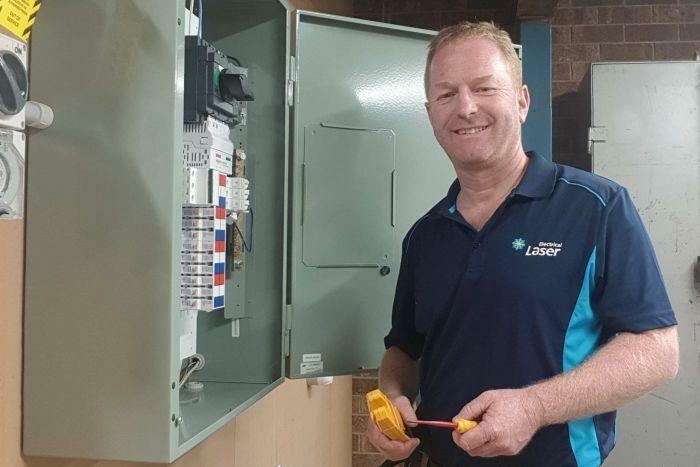 It isn’t just homebuilders feeling the heat either; electricians such as Ray Sherriff – who employs nine electricians and four apprentices – has noticed the significant slowdown in housing activity. 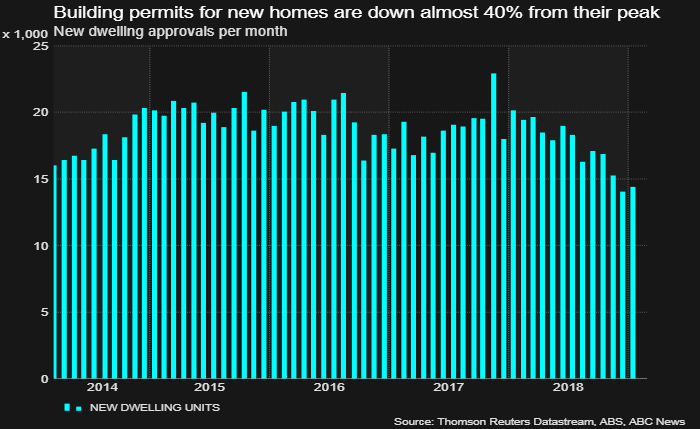 According to the Bureau of Statistics, Australian permit approvals were down nearly 29% in January y/y, with the exceptions of Western australia and Tasmania, where building permits are actually rising. Right now, the rate of contraction in house construction is the fastest it has been in six and a half years, according to figures by the Australian Industry Group’s Performance of Construction Index. Activity in apartment construction has fallen for 11 months in a row to its lowest point in six years, at a time when the industry was recovering from the GFC. “When you have house prices falling as they are at the moment, the risks of entering into that are greater,” said Shane Garrett, chief economist with the Master Builders Association. Meanwhile, demand for the more than 1 million residential construction sector workers is beginning to weaken. Job ads seeking construction workers dropped by 14% in February. As we reported in February, with the Labour Party looking to wrest back control of the government during elections later this year, things could get worse for Australian housing. The party has pledged to curb tax breaks for property investors that helped drive up home prices (alongside an influx of foreign capital). Labor leader Bill Shorten has promised to scrap tax refunds worth A$5 billion ($3.6 billion) a year for share investors. The benefits are already being seen in the polls, where Labour is seeing a slight advantage. 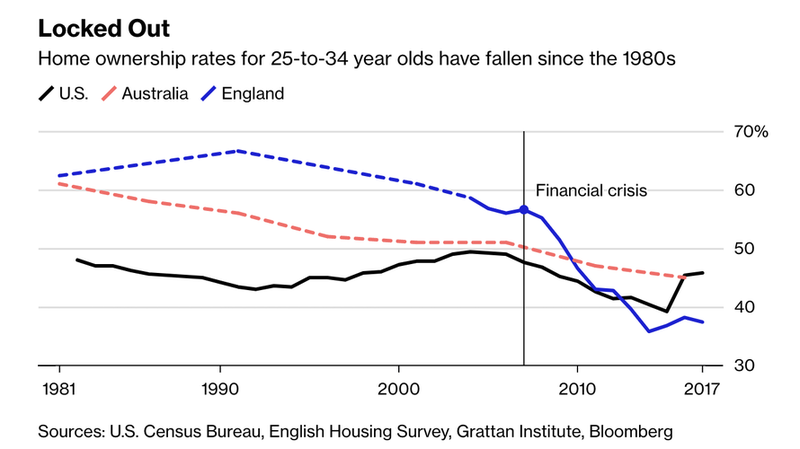 Meanwhile, as home prices have soared, home ownership rates among younger Australians have plummeted. To try and combat this, Shorten proposed that a tax break known as negative gearing which allows homeowners to treat costs associated with owning a rental home as a tax deduction (though, to be fair, that certainly sounds like it could have some unintended consequences for the property market). He has also promised to subsidize rents and build homes. 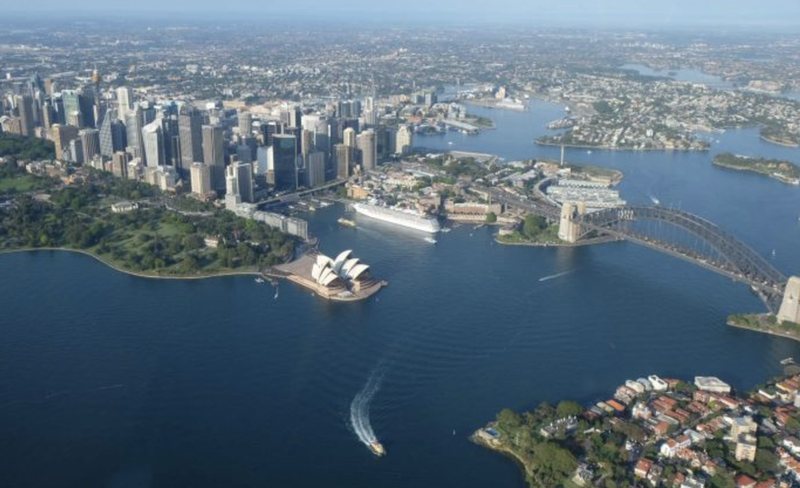 If Australia’s progressives are victorious in the May elections, the country’s “sharp downturn” in housing could accelerate. Previous post: With RussiaGate Over Where’s Hillary?